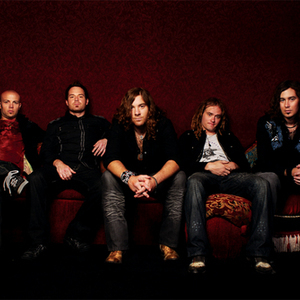 Royal Bliss is an American hard rock band that formed in 1997, in Salt Lake City, Utah. They are currently signed to Capitol Records and have recorded a new album entitled, Life In-Between. The record was released 13 January 2009 via Merovingian Music and Caroline Records under the exclusive license to Capitol Records. The first single off of Life In-Between was "Save Me" They have shared the stage with Kid Rock, Maroon 5, Everclear and Smashing Pumpkins members Billy Corgan and Jimmy Chamberlain as well as Hinder, Three Days Grace, Buckcherry, Stone Temple Pilots 12 Stones and Trapt. They have shared the stage with Kid Rock, Maroon 5, Everclear and Smashing Pumpkins members Billy Corgan and Jimmy Chamberlain as well as Hinder, Three Days Grace, Buckcherry, Stone Temple Pilots 12 Stones and Trapt. Combining elements of classic rock and modern indie rock, the bands collaborative songwriting ability, synergy and stage presence has contributed to over 30,000 CDs sold. Royal Bliss worked with accredited industry leaders on "After The Chaos II" like Bjorn Thorsrud(Smashing Pumpkins), Matt Winegar(Primus, The Spent Poets), and Matt Wallace(Maroon 5, Faith No More), and has created a sound that is new and refreshing.